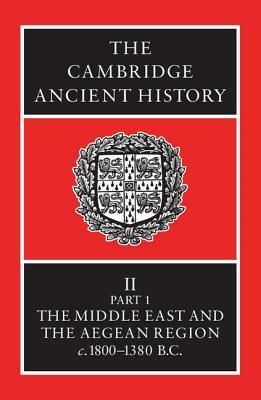 Read Book The Cambridge Ancient History, Volume 2, Part 1: The Middle East & the Aegean Region c.1800-1380 B.C. Online author by I.E.S. Edwards. Read or Download The Cambridge Ancient History, Volume 2, Part 1: The Middle East & the Aegean Region c.1800-1380 B.C. format Hardcover in 823 and Published 1-5-1973 by . The Cambridge Ancient History, Volume 2, Part 1: The Middle East & the Aegean Region c.1800-1380 B.C. The Cambridge Ancient History, Volume 2, Part 1: The Middle East & the Aegean Region c.1800-1380 B.C. This first part of volume II of the series deals with the history of the Near East in the first half of the second millennium BC. This was the era of Hammurabi in Western Asia, the Hyksos and warrior-kings of the Eighteenth Dynasty in Egypt, and the Minoan and early Mycenaean civilizations in Crete and mainland Greece. The first edition of this series, published a half century ago, has been greatly expanded, so much so that now two separate books are required.